Wills are typically filed at some point after the will creator (“testator”) passes away. Wills are important for individuals who need to transfer their property to their family and loved ones. If you need to file a will in Pennsylvania, you should consult with an experienced Pennsylvania probate lawyer. At Herr Potts and Potts, our lawyers are ready to assist you with all your estate administration needs. Our lawyers explain when wills are filed in Pennsylvania. As mentioned, a will is usually filed after the testator has passed away. To file a will, the personal representative or executor named in the will must first discover the decedent’s most recent will and any amendments to that will. Probating an old will that was later altered by the testator can cause issues with the probate process. Therefore, it is important that the executor files the right will. Once the executor retrieves the testator’s current will, they must file that will with the Register of Wills. The Register of Wills has many locations within Pennsylvania. An executor must be sure to file the document with the Register of Wills in the county where the decedent resided. The circumstances concerning the drafting of the will may affect the process for determining the will’s validity. For example, if the testator used two witnesses in the execution of their will, these witnesses may be required to corroborate the validity. Once the will has been filed, the personal representative can begin gathering all of the testator’s assets to prepare for probate. Assets that are not required for the probate process include assets that are in trusts, life insurance policies, and many jointly held assets. 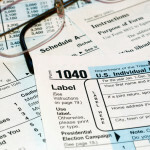 After filing, the personal representative should also notify any creditors and beneficiaries of the testator’s death. This process can be accomplished by placing news of the decedent’s death in certain publications where an interested party would see it. After the personal representative wraps up all the decedent’s affairs in probate, like the decedent’s debts and taxes, the decedent’s estate can be distributed. To learn more about filing a will in Pennsylvania, you should speak with an experienced West Chester estate planning lawyer. What Happens if You Pass Away Without Filing a Will? If a decedent does not have a will when they pass away, then they will have died “intestate.” “Intestacy laws” will govern the distribution of a decedent’s property if they die without a will. Pennsylvania’s intestacy laws will not provide for members of the decedent’s family who have special needs. For example, if the decedent has a child that has a disability and requires special care, Pennsylvania will not consider this when distributing the decedent’s estate. Therefore, if the decedent wants to provide support for a family member with special needs, one of the best ways is to draft a will stating how that support should be carried out. There are several reasons why an individual should draft a will before they pass away. One reason is to avoid your property being given to estranged family members. Pennsylvania intestacy laws will typically distribute a decedent’s estate to the closest of kin. This means that if the decedent did not have a spouse or child, Pennsylvania would give their property to other family members, like the decedent’s parents or siblings. However, once these options have been exhausted, the property may go to an estranged relative like a distant cousin. A valid will can prevent this from happening. There are other rules regarding intestacy in Pennsylvania that you should know about. One rule states that someone intended to inherit under your will must outlive you by five days. If they die before that, they are considered to have died before you. This means that if you were in a tragic accident with a member of your family and you would inherit a piece of their estate if they passed away, you cannot inherit that property if you also pass away within five days. 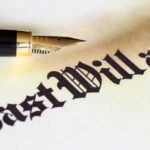 It is important to note that if someone intentionally kills a relative to inherit their estate, Pennsylvania’s “slayer rule” will bar them from that inheritance. Half-relatives have the same right to inherit your property as a full blood relative. This means that if you and your half-brother share a mother, they still have the right to inherit your property if you die intestate. If you need assistance with the estate administration process in Pennsylvania, you should speak with an experienced elder law attorney. At Herr Potts and Potts, our attorneys can help you navigate Pennsylvania’s probate process. To schedule a confidential consultation, contact us at (610) 254-0114. Are Handwritten Wills Legal in Pennsylvania?